Twelve princesses suffer from a puzzling—and downright silly—curse. Ridiculous though the curse may be, whoever breaks it will win a handsome reward. Sharp-witted Reveka, an herbalist’s apprentice, has little use for princesses, with their snooty attitudes and impractical clothing. She does, however, have use for the reward money that could buy her a position as a master herbalist. But curses don’t like to be broken, and Reveka’s efforts lead her to deeper mysteries. As she struggles to understand the curse, she meets a shadowy stranger (as charming as he is unsettling) and discovers a blighted land in desperate need of healing. Soon the irreverent apprentice is faced with a daunting choice—will she break the curse at the peril of her own soul? I've been lusting after The Princess Curse ever since it was nothing more than a tiny little blurb with no cover and not much information. And ever since that time, I've had two warring halves living inside me. One side smugly crossed her arms, stuck her nose in the air, and declared that NOTHING would be as amazing as Jessica Day George's 12 Dancing Princesses retelling. The other side was a starry-eyed mess praying to the book gods that The Princess Curse would become *THAT* book where I'd want to hug it forever and sleep with a copy under my pillow at night. Gloriously, the latter actually came true! Ever since I finished reading I've had to fight myself not to pick it up and read it all over again (and again, and again. My review pile is glaring at me!) Now that isn't to say The Princess Curse is better than Princess of the Midnight Ball. That would be comparing apples to oranges. Because the thing you need to know about The Princess Curse is this: You have never read a 12 Dancing Princesses retelling like this. Oh how you astound me! Merrie Haskell totally has an Author Brain (yes, with capital letters). 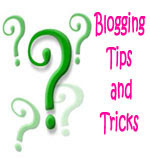 Now, I kinda knew this already from all the time I had spent stalking her blog. It's sprinkled with all sorts of goodies from The Princess Curse. I knew from those little peeks that The Princess Curse was going to be a story like no other, but it wasn't until I actually read it that I realized how much was there. In a lot of ways this is an "everything but the kitchen sink" kind of book. There's so much stuff in there. Historical bits, herbalism, adventure, magic, romance, growth, curses, shape shifters, war--you name it and it's there. The thing is, it never feels like that. I was never bored with pages of information about the world (both the fictional Sylvania and the historical Romania around the time of Vlad the Impaler). I never felt antsy reading through dry details about herbalism. That is because none of these things were told to me. Really, none were even shown, as authors are so frequently told to do. Merrie Haskell went beyond telling and showing, instead making me live her book. I never once felt like I was reading. I was living, breathing, hearing, feeling, and experiencing everything right alongside Reveka (I'll talk about her later!). In addition to the 12 Dancing Princesses story, Merrie Haskell also wove in TWO more tales and they are almost as integral to the plot as the 12DP story (but I'm not telling you what they are!). I never would have thought of combining these stories and if anyone had told me they were going to be combined in one book, I probably would have looked at it with some major skepticism, but that's why I DON'T have an Author Brain (like, at all). All I can say without spoiling things is that Merrie Haskell makes it work. Obviously the original story is getting a shake up in Merrie's version, but, like all the best fairy tale retellings, The Princess Curse retains the heart and features of the original tale (or, in this case, tales). I loved the tweaks made to the princesses, the reason there are 12, why they dance, what is under their castle, who saves them, the invisibility cloak, the king's promise, the fate of the failed princes, and the villain. All of these features remain faithful to the original while totally turning things on their head in the most original ways imaginable. Remember I said I'd mention Reveka? Oh gosh, how do I explain Reveka? She is so awesome. This is a MG book, so she's on the younger side, but that didn't stop me from relating to her. There were so many points where she would think something and I felt such a kindred spirit bond with her because *I* totally felt the same way! There's this part with spies that especially stands out for me. Reveka is inquisitive, fiercely independent, she knows exactly what she wants and she will do whatever she needs to do to get it. She's stubborn, she's funny, she's adorably irreverent, but underneath it all she has a good heart. Reveka would be in good company among Anne (with an E!--Reveka completely channels that spirit) from Anne of Green Gables, Vivian Vande Velde's Lylene or Alys or Mel from Sherwood Smith's Crown Duel (and that's high praise from me considering those are among my top favorite ladies from my top favorite books). I can't say much at all about the other characters without giving things away. But, I will say that you will meet people who are of the "make my heart melt they're so kind and sweet" variety (think the old guardian types). You will also meet people who made me want to reach into the book and slap them silly. Some made me sigh with exasperation, while others left me laughing. Some shocked me with their hidden depths, and others touched me with their quiet romances. But the best of all--the one with such depth who touched my heart, stoked my anger, made me swoon (this is MG? Yeah, but if you have an older mind...), and left me begging for more, well, I'm not saying another word about him (tease much? You betcha). 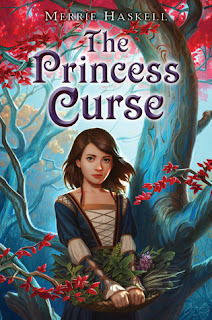 Richly drawn and lovingly rendered, The Princess Curse touched my heart, made me smirk, gave me a new book best friend, and has left me begging for more! I am astounded at the amount of originality and depth in this story. The Princess Curse is that MG book that totally silences those who would scoff at MG books as "dumbed down" stories. My one complaint is that there is no guarantee yet for a sequel, and I want a sequel! The ending is open, but less in a way that it's a cliffhanger or the story is incomplete and more in the way that you know these characters will have a full life ahead of them. But I want to read more about that life! What will convince publishers to print a sequel? The sales of The Princess Curse. Oh, hey, on a totally unrelated note, did you happen to notice that, at the time of this posting, The Princess Curse is available for purchase? I'm just saying. Do you have any questions about The Princess Curse that I haven't addressed? When I saw this review appear in my reader, I thought, "I bet Smalls liked *him*" and I was right. See, I didn't...and that's probably the main reason of why I preferred Entwined. Still I'd probably read a sequel. Bookworm1858, Haha, you know me well! I can see how disliking that character would tarnish your reading experience. That's another reason why I'm so fascinated with retellings--they take the same basic story, but make it so that there is a version out there for everyone. Nic, I hope you enjoy it! Reveka, ah, I love her. I hope we get to watch her grow in a sequel. Jenny, Me too! This was such a unique fairy tale retelling. I hope you love it! Reveka sounds just like my type of heroine. I haven't read much of the 12 dancing princess fairy tale so think looks really interesting, especially how the author has woven 2 additional stories into the main plot which is really hard to do. Thanks for the recommendation! This sounds like a really great read! I'm definitely going to have to check it out and read it with my daughters! :) Thanks for the review! Now I want to read this book so bad!! I love the 12P story, is one that automatically brings me back to my childhood! So I want this one and also the Jessica Day George one, I don't think I have read that one either!! I love fairytale re-tellings and if Reveka is anything like Anne, I know I'm going to love this one too. Fabulous review; your enthusiasm for The Princess Curse really shows, Small! See now, this is all I need to hear. If I only have a limited time to read books then it's always nice to know what are the favoured and best retellings. Not that I would say absolutely no to ever reading Entwined, but if given a choice, I would prefer the version that gives the best interpretation. I couldn't wait for your review of this! I love the twelve dancing princesses and I couldn't tell you how excited I was for your review. And I saw Vlad the Impaler??? 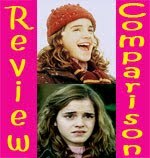 In the same review as a fairy tale retelling? What the heck is he doing there? Doesn't that just make everyone want to read this??? Me too! But I was already planning to. I got a heads up! Loved the review though for those that don't read MG you might want to bold face that part about Vlad and see if you can switch them to the MG side with us! Accccccccccccck. I already wanted this. Now you make me want this even more. Right now. This SECOND! Gaaaaaaaaaah! I had never heard of this book before, but it sounds wonderful! I loved Jessica Day George's retelling, so I'm excited you think this one is just as good or maybe better. I also love how long and detailed your review is. Thanks! I will definitely be adding this to my list of books to read. *hyperventilates* Small, I wonder if you realize that my VERY favorite fairytale is that of the 12 dancing princesses. You can therefore imagine my love of Jessica Day George's version of the book. I cannot tell you how EXCITED I am that you loved this one. It seriously sounds like a book made of win and now I have 2 books I must buy before I pass out from my lack of breathing. Awesome review! I seriously LOVE your reviews. And I love that we have such similar tastes...with that being said, I know I NEED to go out and get a copy of this. Can't wait to read it! Guess what I brought home from work yesterdayyyyyyyyyyyy? But THE PRINCESS CURSE had to duke it out in a royal battle with BREADCRUMBS by Anne Ursu, and, well, BREADCRUMBS won the war. But it's next! "SPECIAL SHELF" - huh? The last time I picked up one of your books off your special shelf I fell in love with it! I'm going to have to give this one a try soon. It sounds really cute. Stephanie, If Anne and Reveka ever got into trouble, they would spin the most amusing cover story ever. Reveka is a little snarkier, but I could see them as friends :) Hope you enjoy it! Christy, You're welcome! I hope you and your daughters like it! Aylee, I feel a little wrong comparing Entwined and The Princess Curse, because while they're both based on the same tale, they're really very different. For me, I obviously preferred TPC, but I don't know if it would be fair to call it the better interpretation. Better for me. Heather, Haha yes, you saw Vlad! He doesn't actually make an appearance though. Reveka's father fought in Vlad's army. (her father is cool and has a really funny scene). A Backwards Story, You should so read it!! 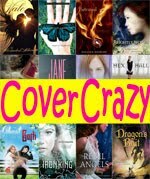 With all your fairy tale retellings under your belt I'm super curious to see what you think of it. (oooh, and I'm also really curious to see what you think of Breadcrumbs because I...didn't like it). Pagesunbound, Thank you! I hope you like it. It's different from JDG's version, but I love them both so much! Jessi, Thank you! I hope you love it as much as I did! Gina, YES! Special Shelf! I think you're going to like this one! I already knew I wanted to read this book, but your review makes me want to read it right now! You Totally just convinced me. I was hesitant because it was an MG and though it could be good, not as great as I would want it to be. BUT NOW I KNOW BETTER! So glad you liked it! I had mixed feelinga about this book - I didn't hate it - but didn't totally love it either. It really needs a sequel to tie up the many many unanswered plot points.